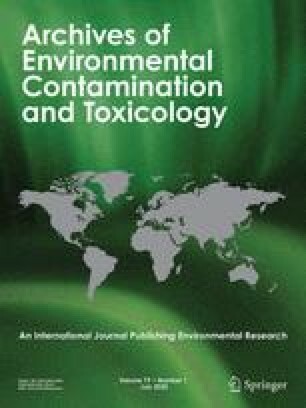 In order to ensure among-laboratory comparability in the results of sediment toxicity tests, it is necessary to characterize the influence of variations in test regimes on organism responses and exposure conditions. The objective of these studies was to develop and document an optimized combination of overlying water renewal (flow) and feeding rates for sediment tests with three commonly used benthic species (midges, Chironomus tentans; amphipods, Hyalella azteca; oligochaetes, Lumbriculus variegatus). Optimal conditions were defined by a number of chemical and biological considerations including: (1) flow rate through the system, (2) amount of food added, (3) acceptable responses (survival, growth, reproduction) of the organisms over the course of a 10-day test, and (4) maintenance of an adequate concentration of dissolved oxygen in overlying water. The goal was to minimize factors (1) and (2), while maximizing criteria (3) and (4). The major reason for minimizing (1) and (2) was the concern that excessive water flow or addition of food could reduce exposure of the test organisms to sediment-associated contaminants. To evaluate this, interstitial (pore) water concentrations of contaminants (ammonia, zinc, copper, dieldrin) were measured over the course of 10 day tests conducted with a number of different sediments under various flow and feeding regimes. The different combinations of flow/feeding had variable effects upon pore water concentrations of contaminants; for example under our optimized regime, in some instances slight decreases in interstitial water contaminant concentrations were observed, whereas in other cases contaminant concentrations remained constant or even increased. Overall, the use of minimal water renewal and feeding rates should result only in small changes in exposure of benthic organisms to contaminants in pore water over the course of 10-day tests.